I explore the communication breakdown that occurs in texts I sent upon leaving Seattle to move to Santa Cruz. A super 8 projector projecting super 8 film made with the Morse Camera. 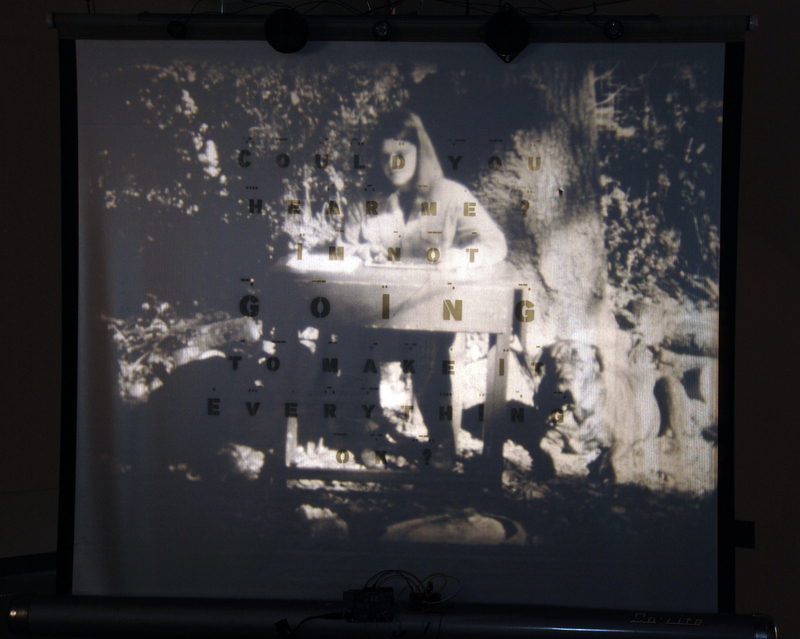 Film is projected onto a movie screen that contains a photocell, Arduino microcontroller, speakers, and luminescent paint. 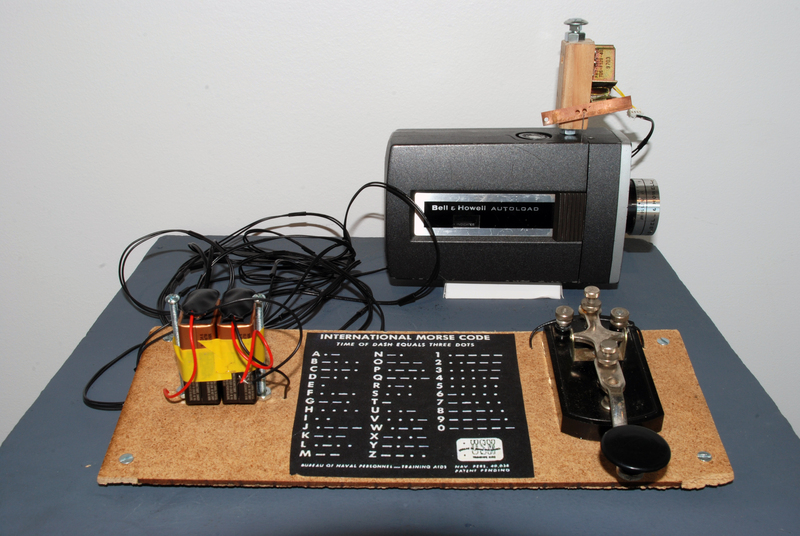 The photocell translates the bright portions of the film into the sounds of Morse code. Texting is an efficient way to communicate meeting points and plans, but is has also become a surrogate for conversations. Short, empty phrases begin to take the place of deeper and more loaded responses. In “Morse Camera” and “Morse Projection,” I explore the communication breakdown that occurs in texts I sent upon leaving Seattle to move to Santa Cruz. The easily texted phrases; “Could you hear me?,” “I’m not going to make it.,” and “Everything ok?” appear simple but are loaded in the context of the people they were sent to. Exploring this disconnection, I translated these messages into Morse code and modified a super 8 camera to overexpose the film whenever I tapped the Morse code key. The film, imprinted with Morse code, is projected onto a screen with a sensor that can read these bright spots and translate them into sound. The disconnected messages are slower and more laborious to read resulting in a complete inability to connect.